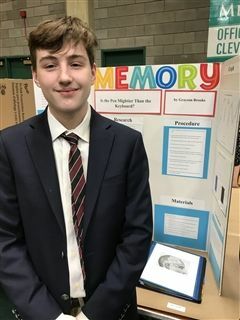 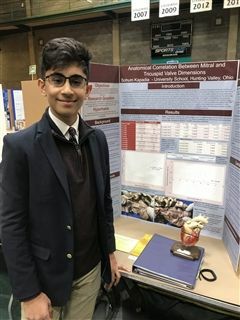 US upper and middle school boys participated at Northeastern Ohio Science and Engineering Fair, with each US boy winning an award, as well as many other special awards, and, for the first time ever, a US student won the top prize. 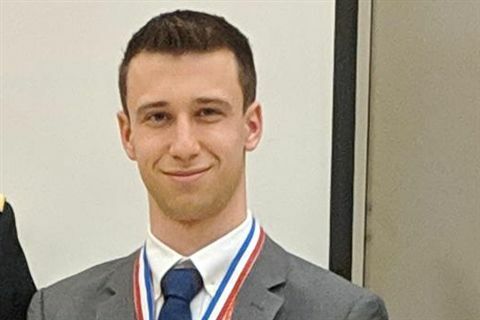 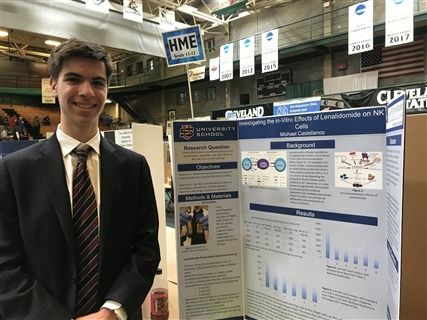 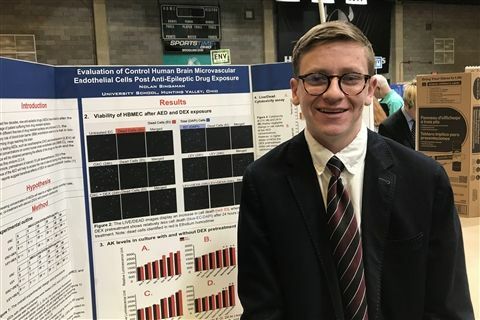 Garrett Blum '20 won the Grand Prize and was chosen to be one of four students to represent this region at the International Science and Engineering Fair, being held in Phoenix this May. 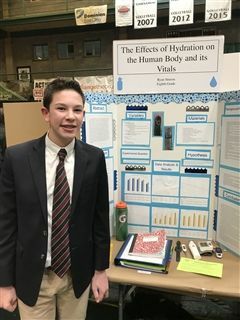 ISEF is one of the most prestigious international events for high school science research students. 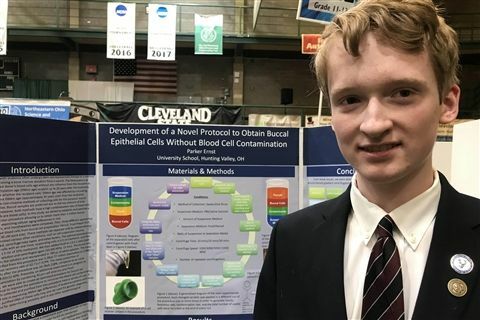 Garrett also received five special awards from the American Statistical Association, ASM International, CWRU Women Faculty of the School of Medicine, CSU Washkewicz College of Engineering, and Parker Hannifin Corporation. 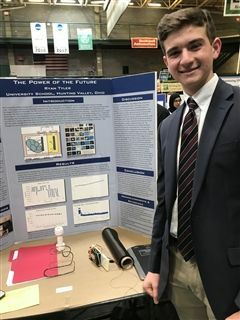 Ryan Tyler '22 – Environmental 9-10th grade (2nd place), American Institute of Chemical Engineers, FirstEnergy Corporation, Institute of Electrical & Electronics Engineers, Mexichem Specialty Resins, Inc.
Garrett Blum '20 won the Grand Prize and was chosen to be one of four students to represent this region at the International Science and Engineering Fair.